The huge task of instituting a well-functioning healthcare system in Africa requires taking stock of challenges and putting solutions forward. This cannot be realised without committed leaders and a shared vision for success with other government offices. Many people following Africa’s health sector growth agree that one of the names of leaders that come to mind in such calibre is the Republic of Cameroon’s Minister of Public Health Mama Fouda. 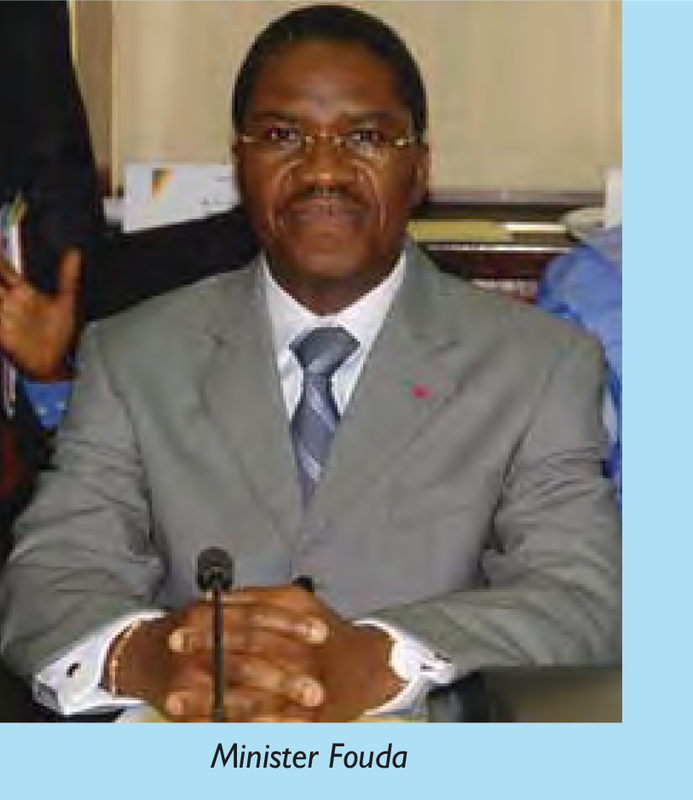 Minister André Mama Fouda has served as Minister of Public Health of the Republic of Cameroon since 2007. Prior to his appointment as Minister, he served in several leadership positions within the Cameroon government both regionally and centrally. He has dedicated his career to public service and is widely credited for the reforms in the Ministry of Public Health that have led to increased access to quality healthcare services. He has been hailed for several accomplishments within the health sector in Cameroon, including the decline of HIV prevalence. The commitment and leadership of Minister Mama Fouda in the transformative landscape of laboratory medicine are amongst his numerous accomplishments. It was in September 2008 that Minister Mama Fouda hosted the 58th session of the World Health Organization (WHO) Regional Office Committee of Member States. The Session adopted the resolution AFR/RC58/R2, on strengthening public health laboratories in the WHO African region (WHO AFRO) and emphasised the urgency to strengthen public health laboratories at all levels, as well as urging WHO to support member states to mobilise, access and sustain resources to strengthen laboratory services. The Resolution became a critical milestone for a continent in dire need of quality laboratory medicine. A year later following this meeting, WHO AFRO, African health officials, the US Centers for Disease Control and Prevention, the US President’s Emergency Plan for AIDS Relief (PEPFAR), the Clinton Health Access Initiative, the American Society for Clinical Pathology and partners launched the Stepwise Laboratory Quality Improvement Process Towards Accreditation (SLIPTA). In April 2011, Minister Mama Fouda and eight other ministers participated at the launch of the first pan-African laboratory society, the African Society for Laboratory Medicine (ASLM) in Addis Ababa, Ethiopia. The Society was launched with the mission to advocate for quality laboratory medicine as well as competent laboratory professionals, bridging the gap between clinicians and laboratory professionals. Minister Mama Fouda strongly believes that laboratory medicine leads to better patient management, disease surveillance, and innovations that improve healthcare delivery. At the first ASLM international conference in December 2012, in Cape Town, he was personally represented. With six of his colleagues from the continent, they issued a Ministerial Call for Action with ambitious targets and challenged delegates to support policies for enhanced and sustained quality laboratory services. Today ASLM has built on the strategic vision of AFR/RC58/R2 and the Ministerial Call to Action to advance and champion the case for laboratory medicine in the continent. At home, Minister Mama Fouda is committed to implementing and rolling out SLMTA (Strengthening Laboratory Management toward Accreditation) and the WHO AFRO SLIPTA checklist for auditing laboratories. Furthermore, in April 2013, he reorganised the Cameroon Ministry of Public Health and established a sub-Directorate for Laboratory and Blood Safety. In line with his dedication and vision, and recognising the role of the laboratory in a nation’s healthcare system, he created the first Cameroon National Public Health Laboratory. His quest for quality and precision, forged by an engineering background, can equally be gleaned when he personally and steadfastly kept pace with the successful accreditation implementation programme in Cameroon leading to several laboratories being audited by ASLM using the WHO AFRO SLIPTA checklist. This was without doubt, a proud and historic moment for the Minister and his team. The Minister’s dedication, leadership and knack for results since assuming office have led to the significant improvement of healthcare delivery in general and laboratory services in particular in Cameroon. Minister Mama Fouda was generous to spare a few minutes for an interview with Lab Culture. ASLM: Many people speak of your personal commitment to advancing laboratory medicine in Cameroon and abroad. What drives you in this field? Minister Fouda: Given the burden of infectious diseases in Cameroon and in Africa as a whole, I strongly believe we should dedicate our efforts towards strengthening quality laboratory facilities in Africa to improve the quality of healthcare services. ASLM: How would you evaluate the current laboratory situation in Cameroon, and where would you like to see it five years from now? Minister Fouda: I believe that the laboratory structure in Cameroon has been one of the most evolving components of the health structure, and I would like to describe the current situation as being on the right side of the changing landscape in Africa. We have come from labs and lab staff with little or no knowledge of quality to implementation of basic quality systems in over 300 facilities. Our ministry of health laboratories had never known of or dreamt of becoming accredited, but today, we have 12 laboratories enrolled in the SLIPTA process. This alone gives you an idea of our current situation and I am proud of our achievements so far! At this pace, it is my fervent hope that five years down the line, we should have been able to strengthen the capacity of public health laboratories and blood banks. We also want to ensure that a functional national public health laboratory that will drive the implementation of laboratory policies and the national strategic plan for labs is in place. Establishing and ensuring the coordination of a national laboratory network also goes along with this. We are also aiming to have at least two internationally accredited ministry of health laboratories. ASLM: What advice do you have for laboratory and clinical professionals in strengthening laboratory systems? Minister Fouda: I would love to see a strong collaboration between laboratory and clinical professionals defined by a well-structured lab-clinical interface aimed at providing the highest quality of care for the population. I am not a medical person, but to the best of my understanding since being in this office, these two professions are supposed to complement each other like white on snow! ASLM: You personally participated at the launch of the first pan-African laboratory society, the African Society for Laboratory Medicine (ASLM), three years ago. Have you been personally following up on how ASLM is fairing? If so, what’s your assessment of it after three years? Minister Fouda: I have been very keenly following up on the developments of ASLM since the launch and I’ve always been very supportive of ASLM’s mandate for laboratory system strengthening as a backbone for better healthcare in Africa. It has also given me a clearer understanding of my role as Minister of Health, in shaping the evolving landscape of laboratories in my country and in Africa. ASLM is really making a difference and the recent SLIPTA audit of four labs in Cameroon marked an important milestone for the laboratory structure in the country and speaks volumes for ASLM’s achievements this far. I was represented at ASLM2012… but I cannot wait to be part of ASLM2014 this December! ASLM: You hosted what is now known as the Yaoundé resolution AFR/RC58/R2 (in 2008) which adopted strengthening public health laboratories in the WHO African region and emphasised the urgency to strengthen public health laboratories at all levels of the healthcare system. You were personally represented at the first ASLM conference in Cape Town last December 2012 in which you and your colleagues put out a Ministerial Call for Action. How are you translating the objectives of the Yaoundé Resolution and Cape Town Ministerial Call for Action in Cameroon? Minister Fouda: Under the leadership of His Excellency Paul Biya, President of the Republic of Cameroon, we have created a sub-Directorate for Laboratories and Blood Safety at the Ministry of Public Health as well as a National Public Health Laboratory and a National Blood Transfusion Programme. We also recently created a National Public Health Laboratory that represents a landmark in laboratory systems strengthening and recognises the critical role played by the laboratory in the national health system. I also want to mention that we have appointed a local SLIPTA focal person in-country and we are proud to have 12 labs enrolled in the SLIPTA process towards accreditation. ASLM: What is your secret to successful leadership and management? Minister Fouda: I rely on collaborators to whom I assign specific tasks with objectives to attain. I always try to keep in mind that we need to work hard towards the improvement of the health of our people and that this can be best done through a collaborative effort and with the expertise and support of our partners.